Who doesn’t like desserts? Imagine coming home after a long day at work, craving something sweet, only to find a freshly baked chocolate cake waiting for you. Perfect, right? But unless you are living in a hotel or have a super enthusiastic butler in your house, this doesn’t happen. Plus, after a tiring day, who has the energy or the motivation to make an elaborate dessert or even go to the bakery to buy one! What if we told you that you could satiate your dessert craving without really spending a lot of time or energy? 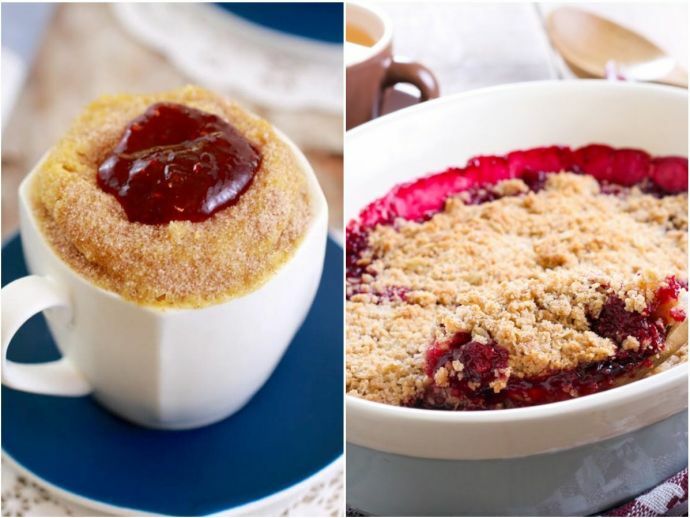 Here are a few microwave dessert recipes that you can make in within minutes, and guess what, they are just as good! Come on, who doesn’t like some warm and gooey chocolate chip cookies with some vanilla ice cream! Who would want regular espresso when you can make this at the same time! You know, for when you are feeling thoda low! I could make this every day! Snuggle up with your favorite book and have these super simple yet super yummy cinnamon rolls! You don’t need reasons to have cheesecake! A moist carrot cake with some clotted cream, that too made without much effort! I know what I’m making tonight. What about you?